PFF ranks the Buccaneers as one of the worst in the League for secondary. I always have to disagree with PFF, most times anyway, but this time I am in agreement. PFF has ranked our secondary as 25th in the NFL, which is a step up from 28th in the preseason. They also state that the safeties are the reason for our rut in their article RANKING ALL 32 NFL SECONDARIES ENTERING WEEK 7 . I am not placing the blame on any particular player or group in the secondary as they should all be held accountable, including the coaching staff, for this poor ranking. I do believe as the team goes on to better embrace the defense that they will improve, and hopefully, become a much better unit. It’s likely to take more time than anyone had expected. In the upcoming 49ers game, we face a quarterback that has had his moments where he had absolutely shined, but it has been a while since anyone could say that. If we play poorly against that offensive passing game, then we will have to be faced, with the fact, that the money spent on boosting the secondary this year, has actually turned out to be a unit, that is worse than last years. 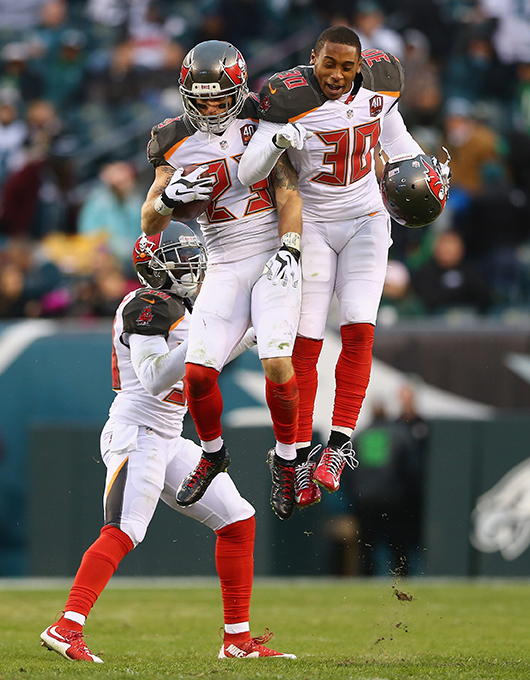 Tampa Bay Buccaneers’ secondary, a cause for concern? Has the Bucs Secondary Improved Going into Upcoming Season? Are the Bucs really that bad? Previous articleWeek 7 picks are in!